Very few U.S. investors own even an ounce of gold or silver bullion, so it should come as no surprise that almost none of them know of the various options to hold bullion in an IRA account. The lack of awareness is generally compounded by financial professionals – the very people whose job it is to educate investors. 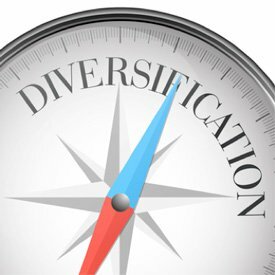 Most investment advisers tout "diversification" as the ultimate investment strategy, then turn around and limit their clients to IRAs with the traditional menu of nothing but paper investment options – stocks, bonds, and mutual funds. Brokers are not anxious to promote true diversification away from these paper assets, as they would lose out on management and/or transaction fees. Alert investors, who are concerned about a portfolio limited to paper assets, have a much better option. This option is known as the self-directed IRA. By giving yourself full authority over your portfolio, you can then invest directly in tangible assets instead of the usual lineup of Wall Street securities. 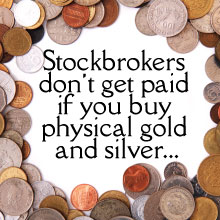 You can own real estate, privately held companies, and physical precious metals, to name a few. You can take matters into your own hands by opening a self-directed IRA. In it, you can purchase qualifying gold or silver bullion coins or bars and get immediate protection from the risks associated with all forms of paper assets in real, tangible metal. And, when you are ready, you can actually take physical possession of that metal through distributions from the IRA. You completely avoid exposure to the dollar or paper assets denominated in dollars. The U.S. dollars in your savings and money market accounts are not well suited to provide a long-term store of value. For more information about owning physical gold or silver in your retirement account, visit our IRA page or call 1-800-800-1865.